Want to catch an extra half hours sleep on your train to work? Or perhaps you want to provide your business and first class travellers with a little extra help to block out the noise? Personalised Ear Plugs are excellent for helping to block out those annoying background sounds. 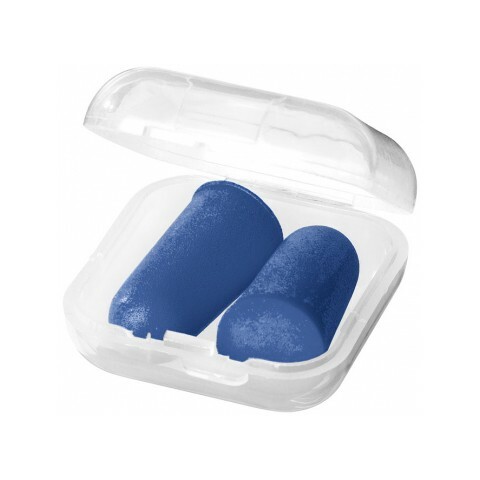 These customised ear plugs are incredibly cost effective, useful to the user and ideal for keeping after their first use as you never know when you need to block out the background noise, making them ideal for prolonging your brand exposure. Outstanding branded merchandise for handouts for hotels, travel companies and airlines with your branding on show wherever your customers travels may take them. 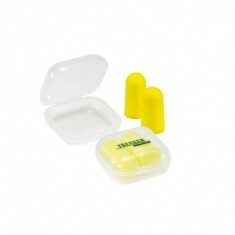 So make sure your clients have a helping hand to get their snooze with your very own promotional ear plugs. When you’re in need of a cost effective version, our custom printed Serenity Earplugs are the way to go. 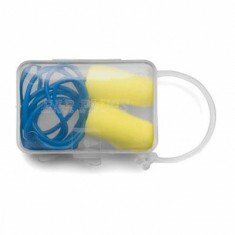 However, if you’re in search of a more premium option to impress your customers and help keep them safe for later use, our promotional Travel Earplugs are a magnificent option. Stored in a branded metal tin, they are great for taking on any business trips or giving to guests on your intercontinental flights. Made from part recycled aluminium and 100% recyclable when no longer in use, they are both practical and green. Feeling inspired? Give our sales team a call today and we can even draw up free of charge visuals for you to see what your product will look like when it’s been printed. Made from mouldable PU foam. 3 earplug colour choices. Printed on to the carry case. Protect your ears with our custom printed Ear Plugs in Case. Packed in a recta.. Handy carry box. Printed to the top in spot colours. Full colour print available.